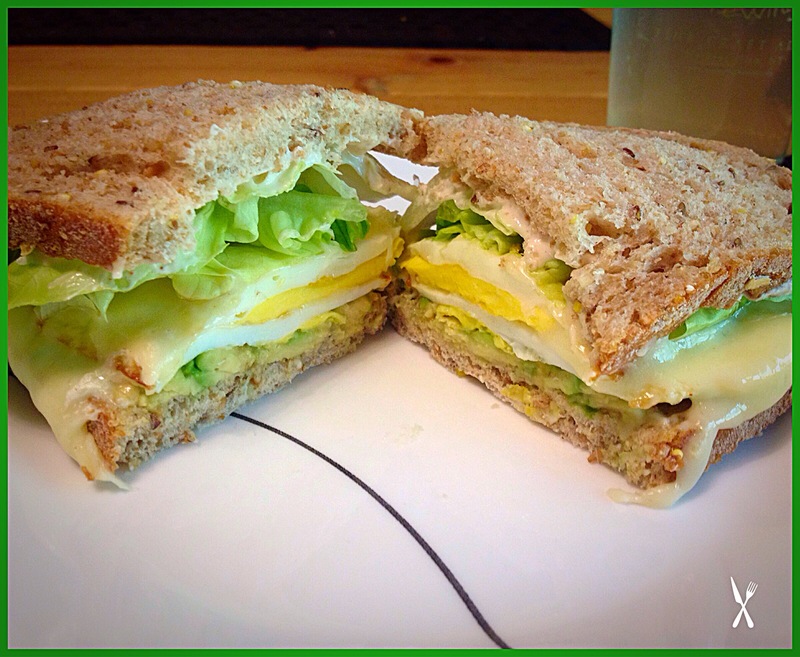 Farm fresh, organic eggs are simply the best! 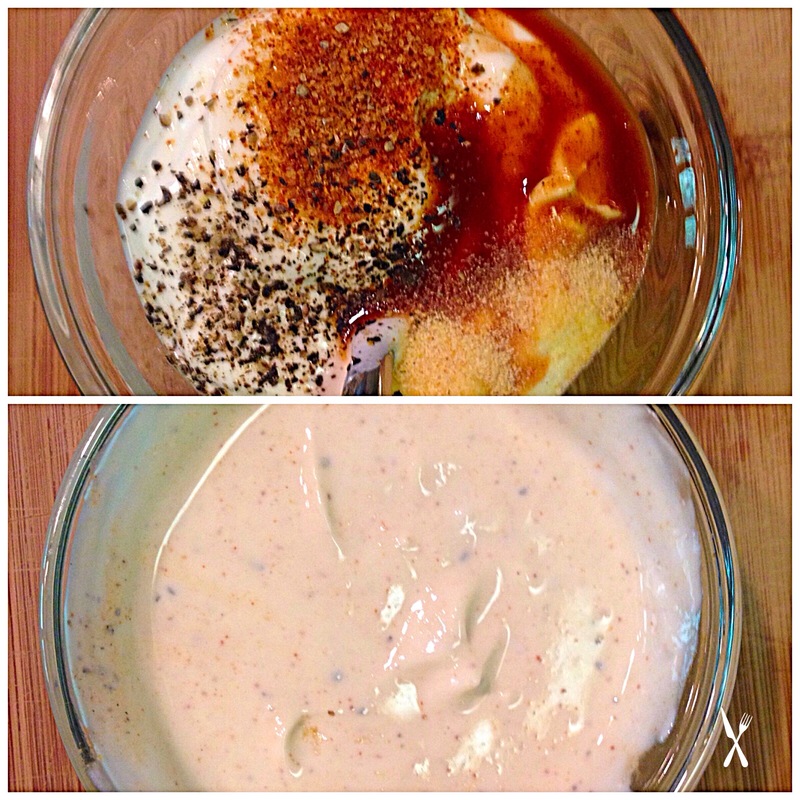 They’re even better if you mix them with the right stuff. 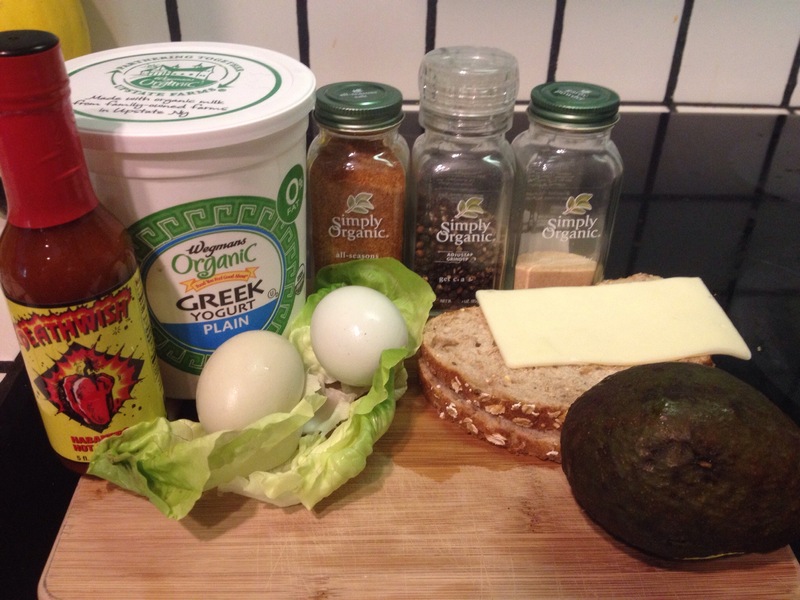 These items are the makings of my favorite Sunday breakfast. 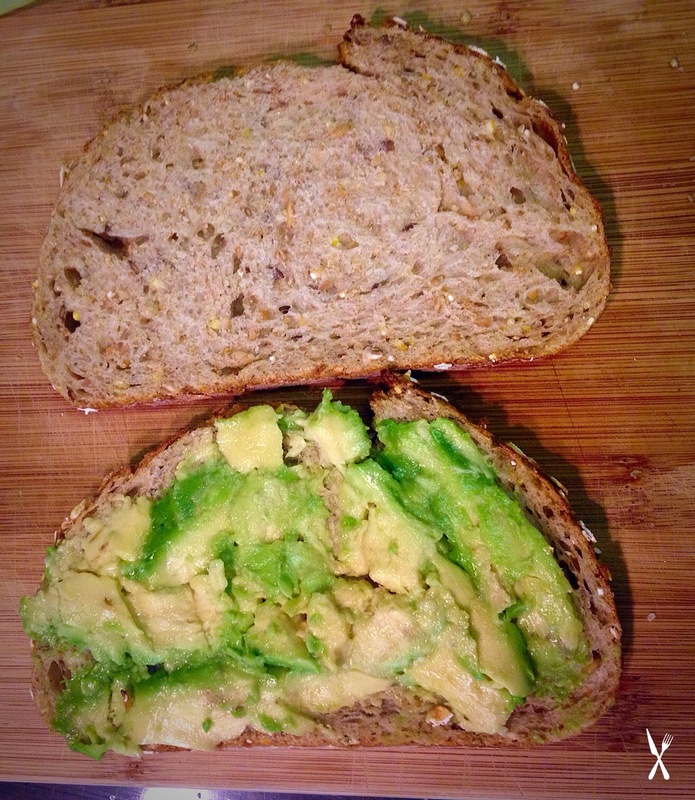 Mash the avocado and spread it on one slice of bread. 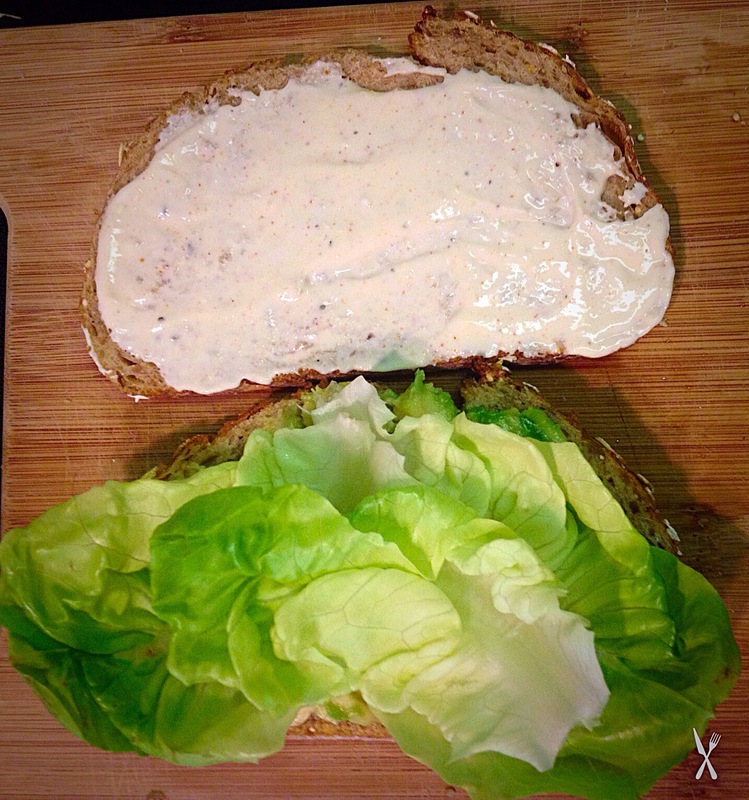 Spread the yogurt sauce on the other slice of bread and top with lettuce. In a nonstick pan, coat olive oil and heat the pan on medium high heat. 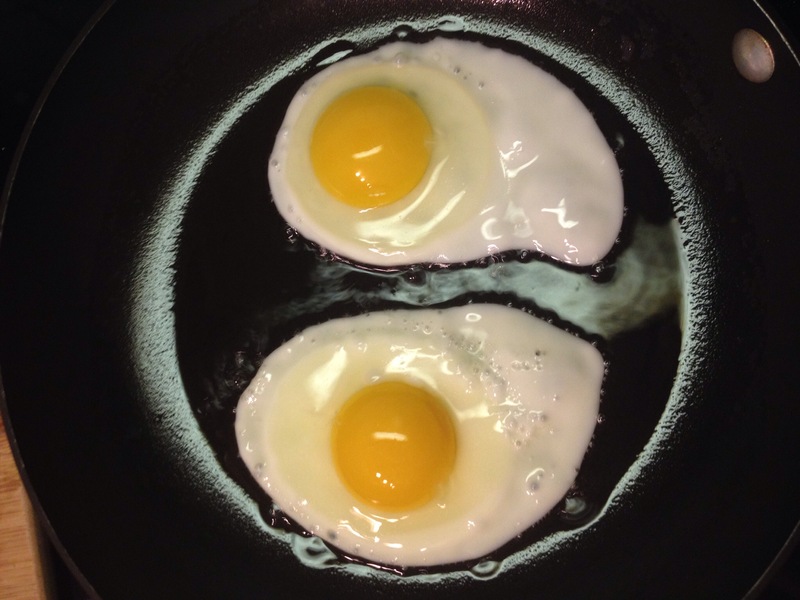 Crack the eggs into the pan. Cook on one side until the whites are almost cooked through. 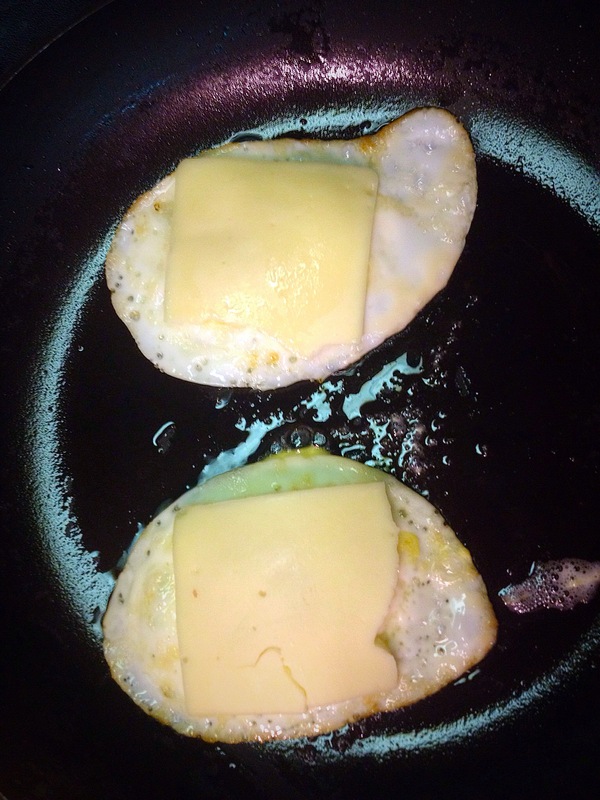 Flip the eggs and put 1/2 slice of cheese over each egg. Cover and turn off the heat. 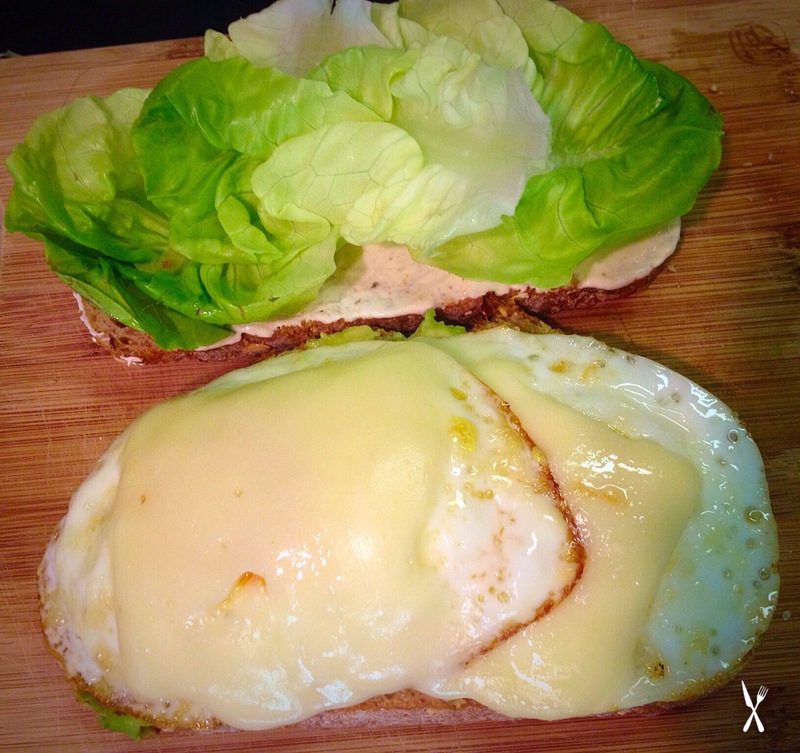 Put the eggs on the bread, put the top on the bottom and slice in half.